Pure Garcinia Cambogia Extract PLUS Detox Cleanse (BEST SELLERS BUNDLE!) --LOOK AT OUR REVIEWS!!! 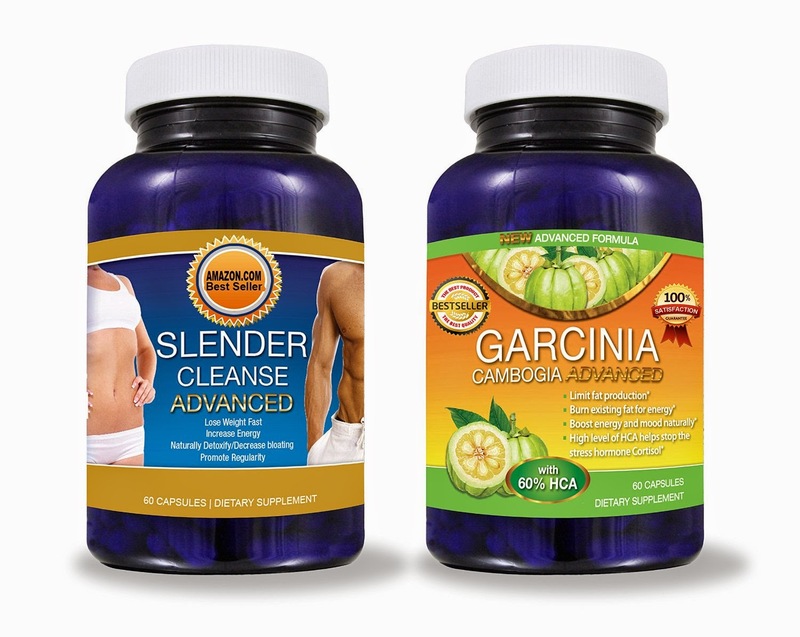 All Natural Garcinia Cambogia Advanced With The TV Doctor's Required 60% HCA Formula Perfectly Matched to THE Premium Slender Cleanse Advanced Colon Cleanse for FAST RESULTS to Help You Lose Weight! - 2 BEST SELLING PRODUCTS FOR THE PRICE OF 1! (DIET KIT) - 'Get Slim Fast' - -A to Z 100% Satisfaction Guarantee! - - Click The 'ADD TO CART' Button to the Right! I used this product for about a month and lost five pounds. I believe I could have lost more if I exercised while taking them. I can honestly say that I noticed an immediate reduction with food cravings when taking the product as directed. I felt I was not as hungry. I feel as if I and I'm not as bloated in my tummy area. This is where most of my weight is. This is the first time trying weight lose pills and cleanse. The only thing that I am doing differently is taking the Garcinia Cambogia Diet Pills. All the credit has to go to the pills. I will continue to use them and I hope to see more results. I believe that this kit has helped me loose the weight faster then just watching my diet. I had no side affects at all since I have been using it. That is a plus. 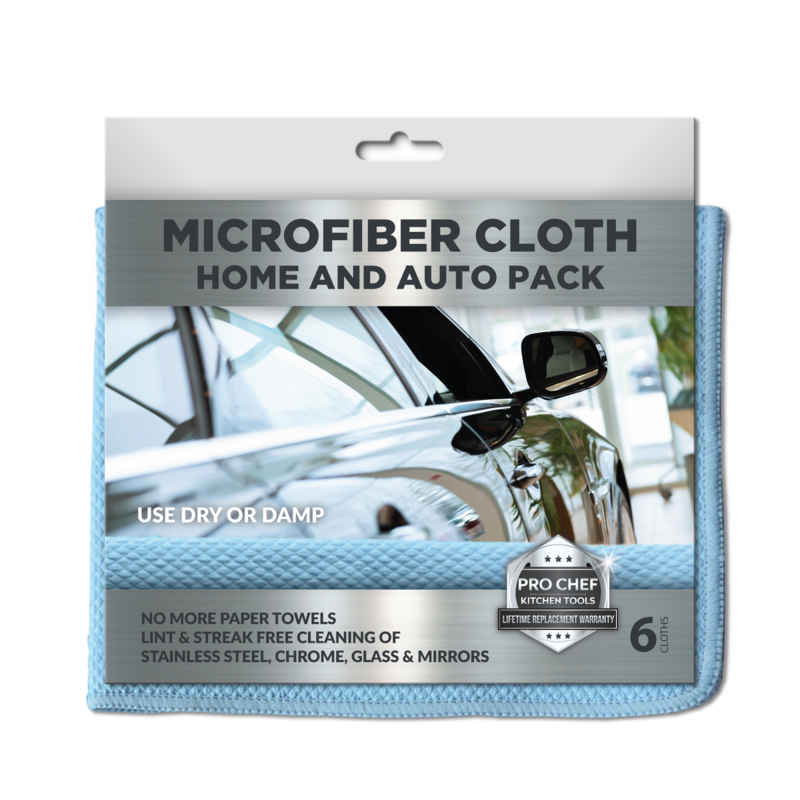 What great stainless steel cloths !!! These cloths are truly amazing. I always struggle with cleaning stainless steel. I was left with with water marks, finger marks,oil. I wet the towel with water. I cleaned my stove, microwave, canisters, garbage pail, refrigerator all stainless steel. No chemicals !! I cleaned with the cloth and dried with the microfiber cloth. If you want to polish your appliances just use the cloth dry. It gives it a great shine. They are safe to use on all types of stainless steel surfaces and won't damage finishes. I even used it to clean my top surface of my stove. My favorite part is you can make your kitchen or whatever you use it on nice and shiny without using any harsh chemicals!! I washed and dried my cloths no shrinkage. A must have item !!!! 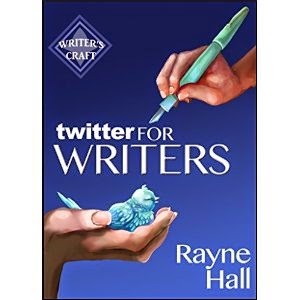 Twitter for writers was a very good in depth detail on how to obtain and keep Twitter Followers. I am not a writer but I enjoyed reading this book for what I have learned. I learned about hashtags, how they are important, how to use them. I learned about how to have "twitter parties" how to engage conversation with my followers. 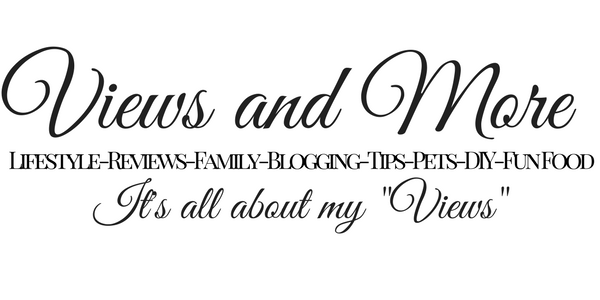 I am a blogger and list items on my site. 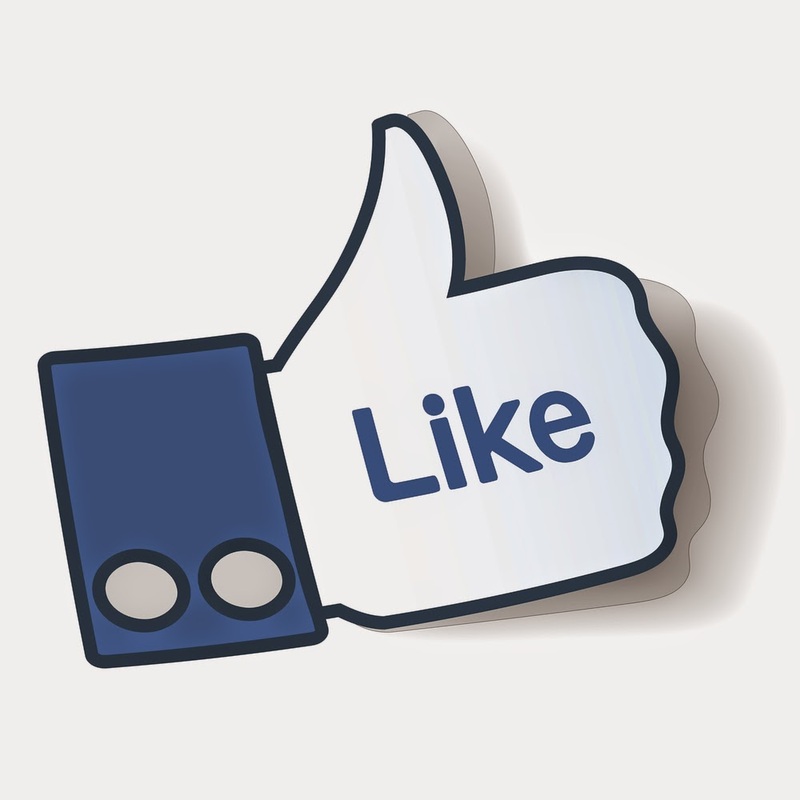 I offer also free products from companies and it is important for me to keep my Twitter followers. I realized by reading this book I need to change a lot of things I write on Twitter. I learned how to approach them the right way. An excellent read for someone that knows Twitter but is not an expert. 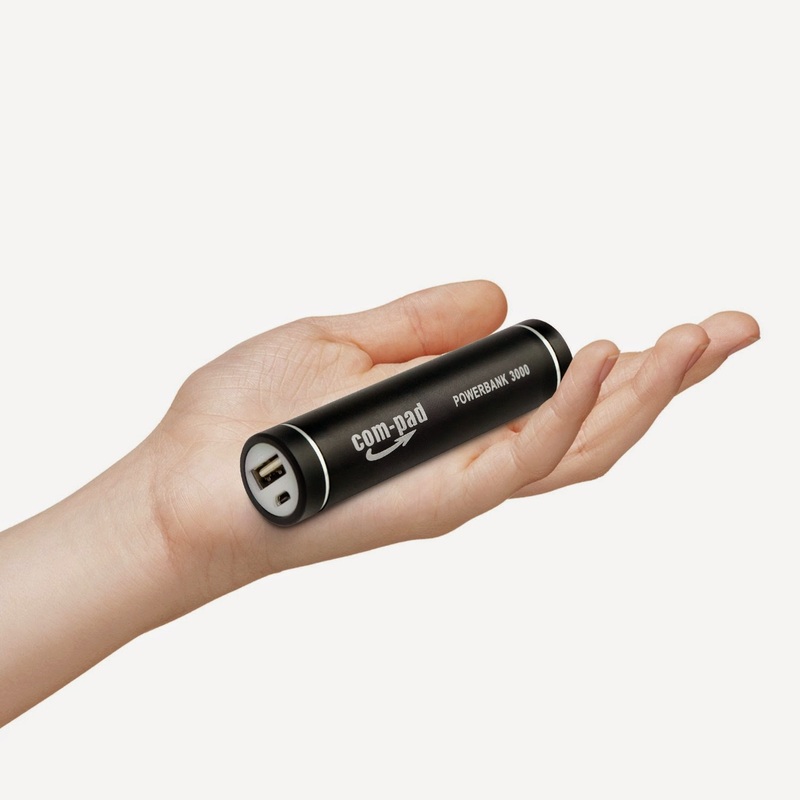 This ZILU Smart Power Basic 4400mAh is a great little portable external battery charger. 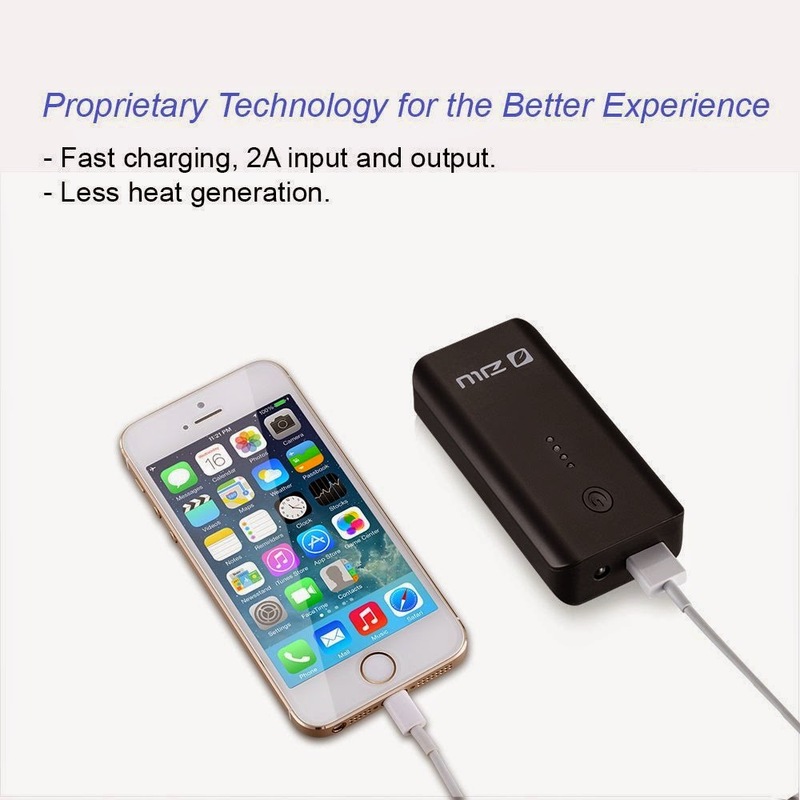 I am very impressed with this portable charger. It charged my IPhone and IPad super quickly. It works perfect. It has a LED light on the battery pack that will blink while being charged. 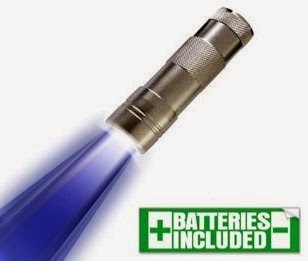 When the battery pack is fully charged all four of the LED lights will no longer blink and stay on. You can use it on all different devices. I sometimes always left my phone at home because I forgot to charge it when I went out. I always keep the Portable in my pocketbook. The price is perfect !!! I recommend everyone to purchase one !!! I used the Revitalize Eye Serum along with my Derma Roller and Hydrolic Serum. As I posted in my review with the Derma Roller All items worked very well with each other. I used the Derma Roller then applied the Eye Serum under my eyes and Hydrolic Serum on my face. I do see a difference on my complexion the last few weeks. I am seeing the benefits with small lines and crows feet. Petunia Skincare has my vote as a super skincare company that has the BEST NATURAL AND ORGANIC INGREDIENTS - 100% CRUELTY FREE! They use only vegan, and cruelty-free formulations containing natural/organic active ingredients. No parabens, no sulfates, no gluten, no alcohol, no phthalates, and absolutely no animal testing. When I first received the Derma Roller I have to admit I felt a bit intimidated to use it. I have been using this on my face so far about 1-2 times a week. It doesn't hurt when rolling. I have very sensitve skin so my face was red after use. I applied the Hydrolic Serum and Eye Serum on my face after rolling. I really felt the products working. My skin was red for several hours. When I woke up the next morning the redness was gone. I did not really see a difference after the first use. I have been using it now for two weeks twice weekly. I do see a difference with slight scars and my pores are much smaller. As I do with all products I always look up the benefits of using them. 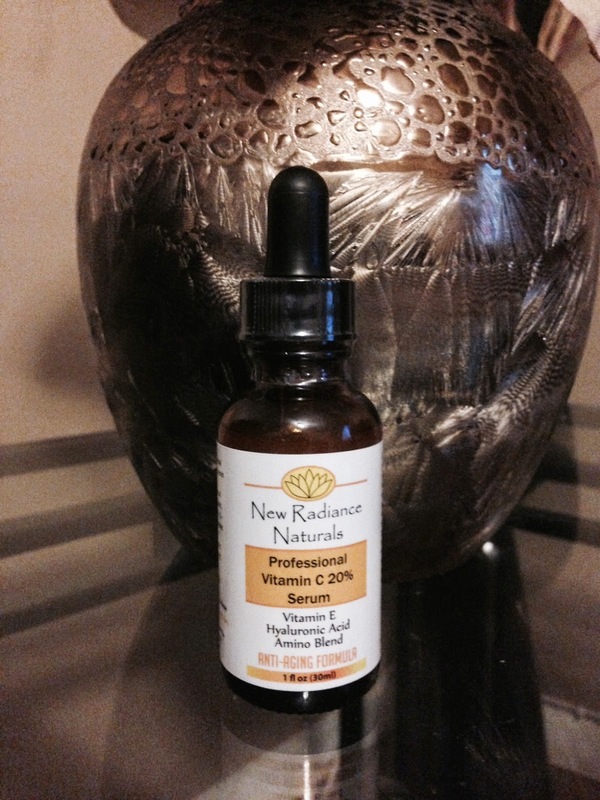 Damaged skin, acne scars, wrinkles stretch marks and sun damage. 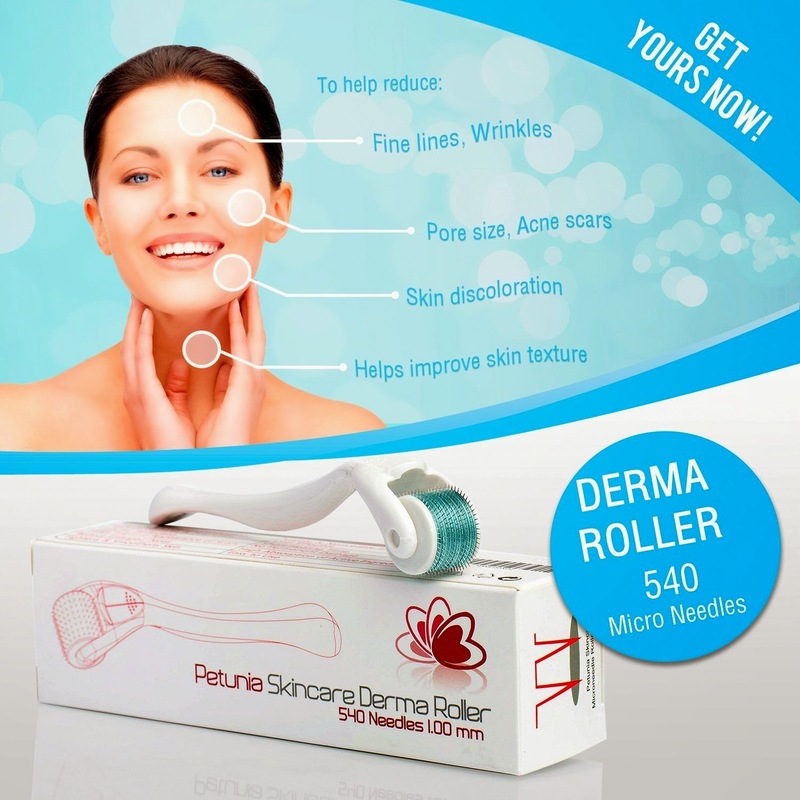 The Derma Roller stimulates the skin to produce more collagen and elastin. I will continue to use it 2 times a week. There are many benefits to using it long term. I absolutely love this product. Plus it is made very durable and super easy to clean. I have been using Petunia Skincare for almost a week now. I love the dropper, I place a small amount in the palm of my hand and apply to my face. I have oily skin. This product takes that away right away. It has a nice smell also, not strong, not a chemical smell. I concentrate on the area of my eyes when using. I am starting to see under my eyes looking much more radiant. I do use concealer and when I put the concealer on after the serum it goes on so much more smoothly and silky. It keeps much skin less oily during the day. I notice an improved complexion and skin tone when using it twice daily. My skin feels smooth, looks hydrated, and all around one of my favorite daily regiments. I hope to see results with fine lines, I'm sure that will happen with continued use. I love that these products are Made in the USA. They also come with a 90 Day 100% Satisfaction Guarantee. 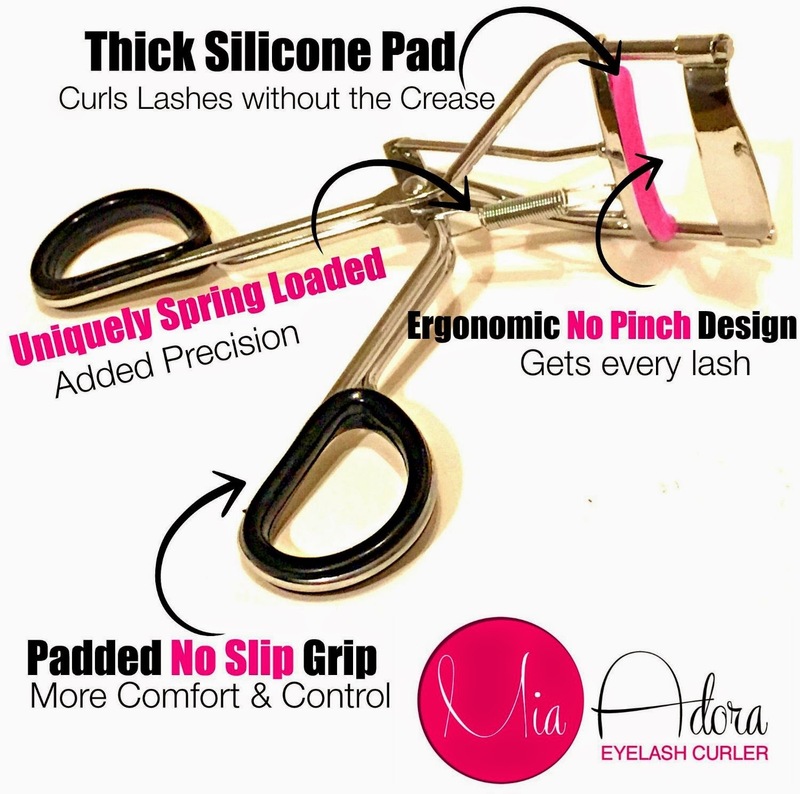 Blowout SALE - Eyelash Curler by Mia Adora - Premium Quality with Unique Spring Design for Extra Precision & Perfect Curl - Use with Natural, False Eyelashes or 3D Fiber Lash Mascara - Free BONUS ebook & Curler Refill - 1 Year Extended Warranty! Received my eyelash curler from Mia Adora. I did not use it with it with false eyelashes. I do have long thick lashes but they are different sizes and have no curl to them. They straggle in different directions. I always am nervous with an eyelash curler. The last one I used a few years ago got stuck to my eyelashes and took some of them out. I tried Mia Adora curler and it had a very soft rubber inside and when I used it my lashes started to form a perfect shape !! I used it a few times on each eye before applying mascara. There was such a difference my eyelashes looked beautiful with such a perfect shape. With your own eyelashes I recommend this curler. Evatex Sleep Mask | Sleeping Mask, 2-Piece Set, with Bonus Ear Plugs ♥ Unique 2-in-1 ♥ Double Sleep Mask Deal With A Free Pouch. Best Eye Cover Sleeping Mask That Blocks Light Completely. Made From Soft Light-Weight Satin Material | Comfortable On The Eyes-With Wide Elastic Velcro Strap and Ear-Plugs Holders. 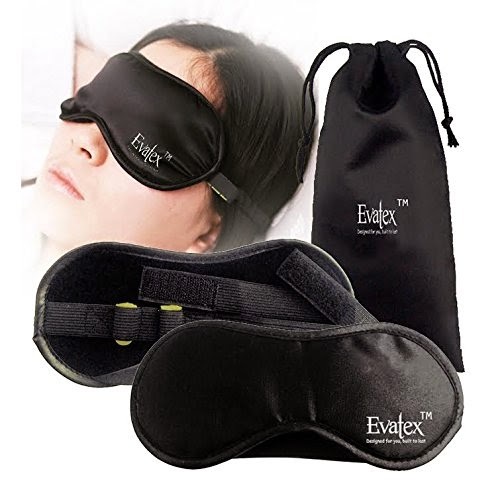 Evatex Sleep Mask Comes With 100% Refund/Replacement Satisfaction Guarantee. I received my sleep masks very quickly. Excellent Sleep mask! When they arrived I was very happy to get the two of these that had a soft wonderful pouch to keep them nice and safe and clean. The masks themselves were super soft and silky. I have been having a lot of problems sleeping for some time now. The first night using the mask I was not used to it. I did still wake up a few times that night. The second night was a much better sleep. When I did wake up I went right back to sleep because I didn't look around because I had the mask on. The next few nights I slept very well. I needed a few nights to get used to wearing the masks but it has improved my sleep habits dramatically. The quality is great - I washed my mask and it came out of the dryer still looking brand new. I did not use the ear plugs. My home is quiet and I would need to hear at night just in case of something. I recommend this to anyone who suffers from good sleep. I started using Argan Oil Superior Hydration Hair Mask. I love the smell it smells like Candy. I put a small amount to the bottom of my damaged hair. I let it stay in as directed then rinsed. I do not normally blow dry my hair I let it air dry. I did have less frizz once my hair was dried. I have been using it every other day. My hair feels nice and silky once dried. I love the fact that it is all natural. I love that it has all natural ingredients. The only problem I have is the Ingredients and Directions are written way to small. Even with my reading glasses I could not read the label. My daughter read it and she had a hard time. Otherwise it is a great product for damaged hair that has been processed with dye. I received my Cute little Light very quickly. I opened it up and went on a adventure.!!! I have hardwood floors but a lot of large throw rugs in my rooms. I searched with my new light and went to my last rug and what did I find, yes a spot. I remember cleaning this spot from my Shih Tzu Teddy. He didn't have an accident with urine he had an accident with vomit. I thought I cleaned it good but I guess I didn't. You cannot see the spot just by looking at the rug. There is a stain obviously when I shined the light on it. I was really amazed that I could not see it with my eyes but I was able to see it with the light. This is a great item even if you do not have pets. All of us spill liquids and we do not even realize it sometimes. A great little tool to keep your rugs spotless. Highly recommended !!!! There is nothing better than having a Professional set of Makeup Brushes just like I received today from Petunia Skincare. I always used shorter handle brushes. When I started to use Professional Brushes applying my makeup it was so much easier. I love the foldable snap pouch. It is great that you can fold the pouch up and take them with you in your pocketbook. 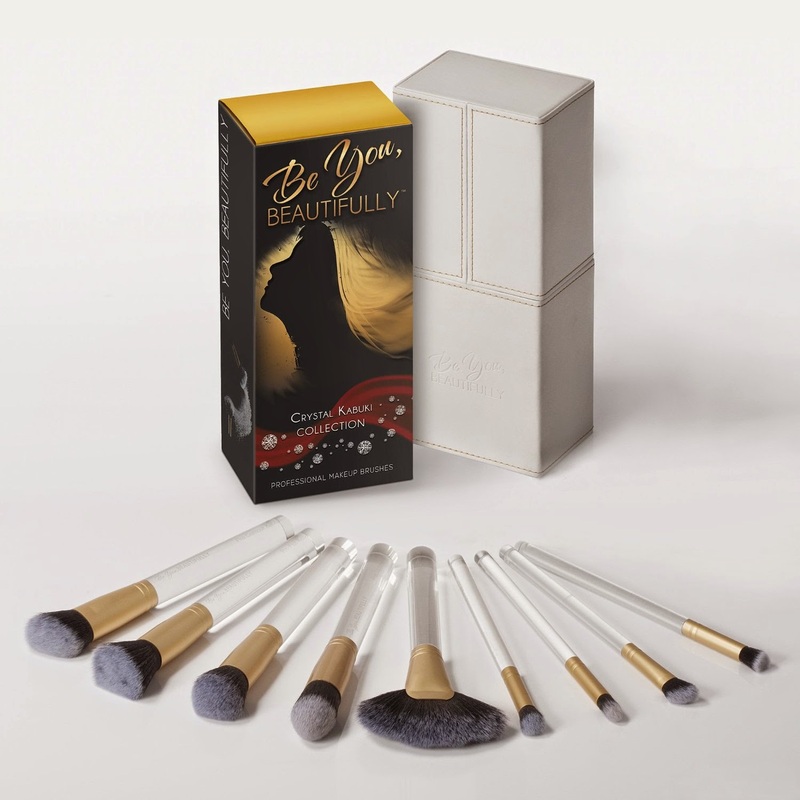 There is a protective flap guard so brushes maintain their shape and are secured. 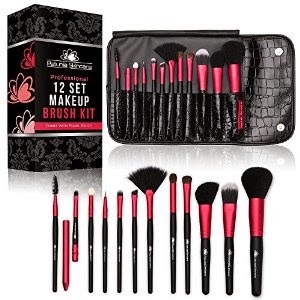 The set contains 12 brushes. Everything you need and nothing more to apply makeup. I love the thin eyeliner brush, it is perfect. I love the brochure that came with the brushes. It has a picture of each of the brushes, a brief description of what the brushes are made of and how they are used. I now know which type of brushes are used for applying certain makeup. A recommended purchase. 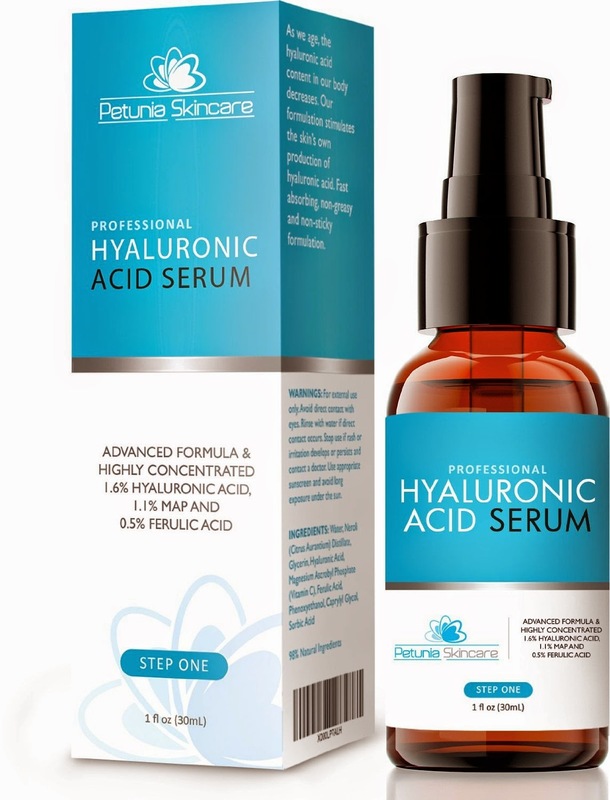 GUARANTEED Best Results 20% Vitamin C Serum For Face - Best Natural & Organic Anti-Aging Ingredients - With 11% Botanical Hyaluronic Acid + E + Ferulic + MSM + Organic Aloe - Fades Wrinkles, Freckles, Acne Scars, Discoloration and Age Spots - Stimulates Collagen, Repairs Sun Damage and Restores Youthful Skin Radiance! Great For Hands Also! I never knew about Vitamin C Serum up until the ones I received a month ago. I did do a lot of reading about Vitamin C. I wanted to know all about it and how it will affect my skin and what the advantages would be. I couldn't believe what I read website after website. Vitamin C is so beneficial to your skin and how it improves dark circles, fine lines, acne scars. I keep using it everyday and everyday I see a difference in my light acne scars. My face has made such an improvement over the last month !! I don't have that slight dark circle under my eyes anymore. The only change I made was using New Radiance Naturals to my routine. It tightens my skin after I put it on. I have oily skin so it takes a lot of oils out. This is another definite positive for me. Having oily skin always feels like you have to wash your face. With New Radiance my skin feels refreshed all day. Thank you for a great product. The IPhone 6 Screen Protect fit on my sons phone like a glove. It was very easy to put on and there were no marks it looked as if there was no protector on the phone. I always had a problem putting these protectors on phones. It was nice and clear. 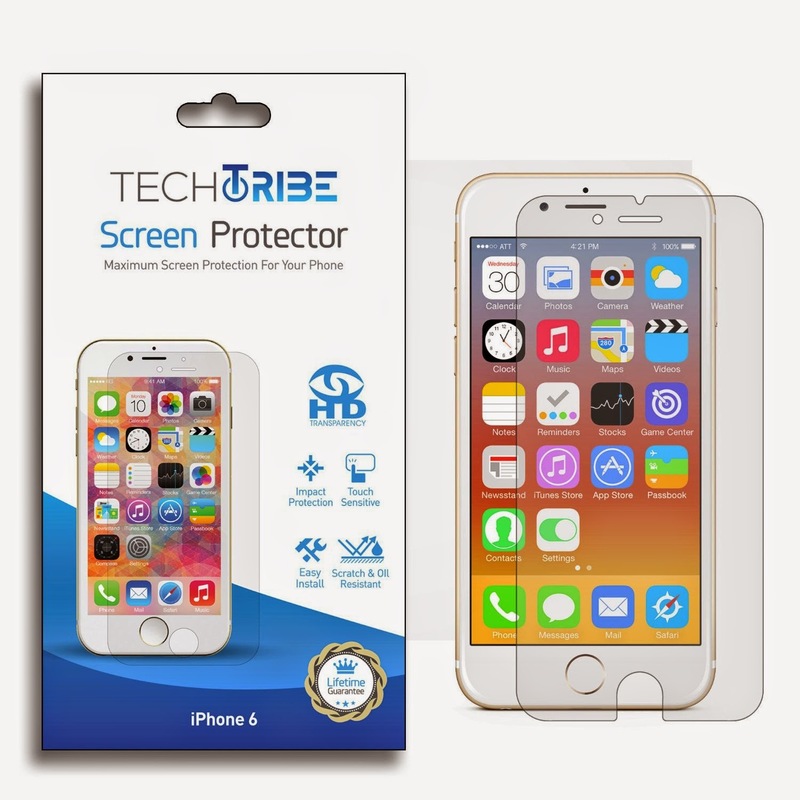 Anyone that has the IPhone 6 I recommend this Screen Protector. 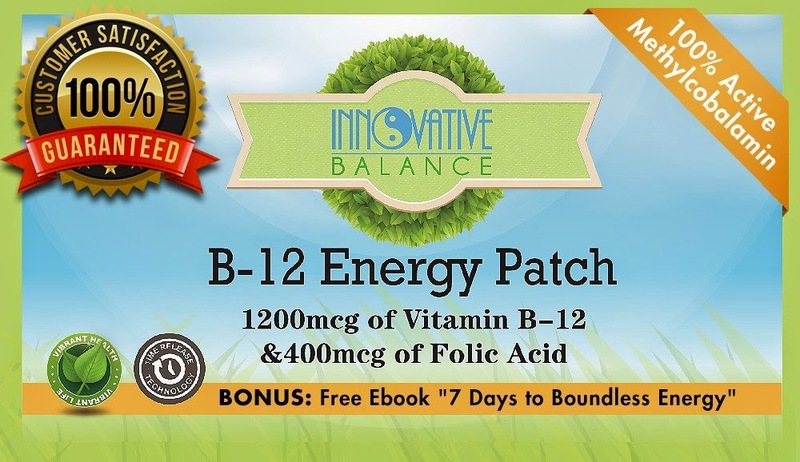 When I first received the B-12 Energy Patches I was very unsure. I said how can this little patch increase my energy. I put the patch on the back of my neck and didn't feel anything that night. When I woke in the morning I did my normal routine, computer, cleaning, laundry. I suffer from Hypothyroidism and that alone can make you very tired. I am always tired. I also am diabetic and have to watch my sugar levels and I also suffer tiredness from that also. I noticed an increase of energy slightly that day. I did not feel tired or lay down. I was up late and full of energy, unlike me !!! I followed the directions and left it on for the recommended time. I skipped the next day and put the patch on again the following day. I definitely had more energy. I have to say I do see an improvement as time goes on. This is a great way to increase energy !!! No need for energy drinks or anything else. You have to try it !!!! Best Eye Cream to Get Rid of Dark Circles and Puffy Eyes - Includes a Free eBook full of Natural Beauty Tips - Eyes of Beauty is a Face Cream Designed to Repair and Nourish the Under Eye Area - Backed by our 100% Satisfaction Guarantee - Order Your Jar Today! I have been using this product for a couple of weeks. I do have puffy eyes but I don't tend to have dark Circles. I started using it as soon as I received it. When I first put it on the cream is so soft feeling> I easily massaged it under my eyes. It tightens tones and firmed my eyes. It felt great. After a week I started to see an improvement. My eyes were not puffy. My eyes definitely looked brighter. The cream has a slight floral scent. Perfect not to strong. For those who are looking for eye cream; you will love this product. !!!! Vitamin C Serum 20% - Premium Quality 30 ml - Best Serum for Your Face Skin - Fights Age Spots, Sun Damage and Dark Circles Under the Eyes - Benefits Skin Tone and Texture, Bringing Back Your Youthful Glow By Neutralizing Free Radicals - Contains Hyaluronic Acid, Vitamin E and Ferulic Acid. Best Anti Aging Serum Moisturizer with Natural Ingredients Including Organic Aloe, Amino Blend and Jojoba Oil - This Anti Wrinkle Serum Serum Will Finally Give You the Results You've Been Looking For! - Buy Now Without Risk Today! I have been using Vitamin C Serum for a few weeks now. I suffer from slight dark patches and light acne marks for years now. I have tried other products but nothing seemed to work. I followed the directions by using twice daily. The first time I put it on my face it was soft and once it dried I felt my face firm up. It felt as if my skin was tightening. I do have oily skin so it made my face feel really great. It took away the greasiness on my face which was a plus... I do see my slight acne scars a little bit lighter. My family even noticed the difference. I think I will need more time for the fine wrinkles to start to fade. Before I even received the product I read about how Vitamin C affects and what it does to your face. It does exactly as described. Lighten spots, fine lines, radiant glow. I will continue to use Vitamin C Serum. It is one of the best beauty products I have tried. I recommend this to all. What a fantastic product !!! I have 2 small dogs a Yorkshire Terrier and a Shih Tzu. Their hair grows so quickly it can get knotty and matted very quickly. I used it first on my Shih Tzu and he loves to be brushed. It took out so much hair when I used the tool !! It made his coat nice and shinny once I finished. I liked the idea of the different sizes I used the small tool on their paws and tails. The pop in and pop out tool was very simple to use. I also like that there is a plastic cover to cover the tools. Hair was easily removed. The handle is very soft. Great product recommended to all !! I wanted to review the Envy Slicer because I wanted something thin to be able to make thin strands of vegetables. 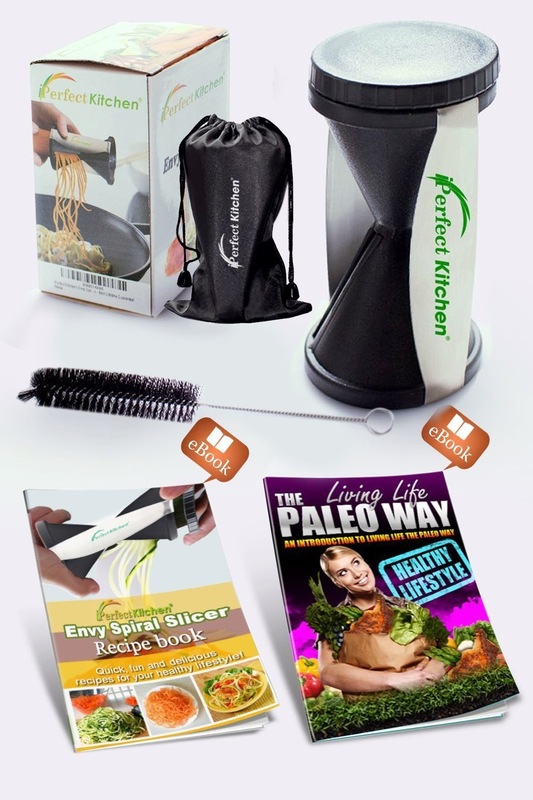 That is exactly what I received with the Spiralizer. I purchased Zucchini and that was my first item I tried. I put it in the Spiralizer and turned the zucchini. It made strands the size of spaghetti. I truly enjoyed my Zucchini spaghetti !!! It was very simple. It also cleaned very easy I did not have to use the brush tool. There are 2 sides to the slicer to make 2 different sizes. 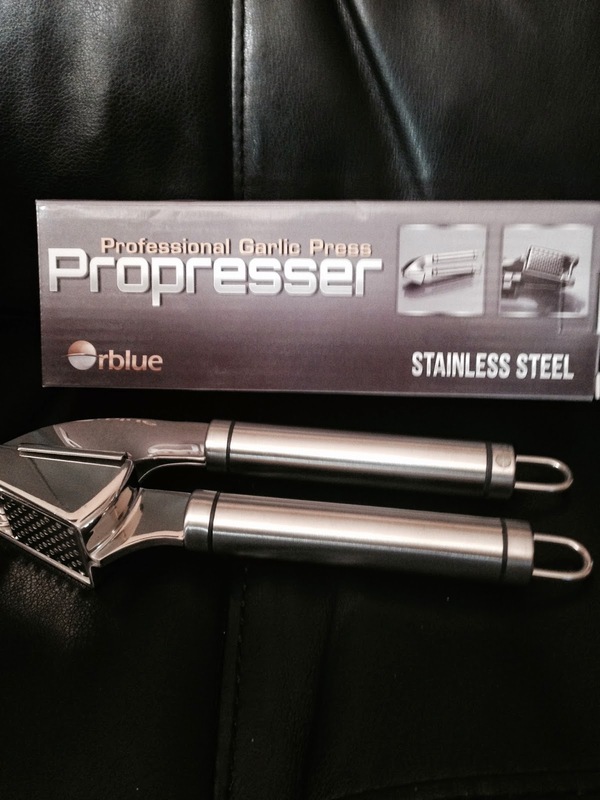 I will use it when I make salads and slice carrots and other vegetables I would like. Great item when you are having a party and would like to make a platter. 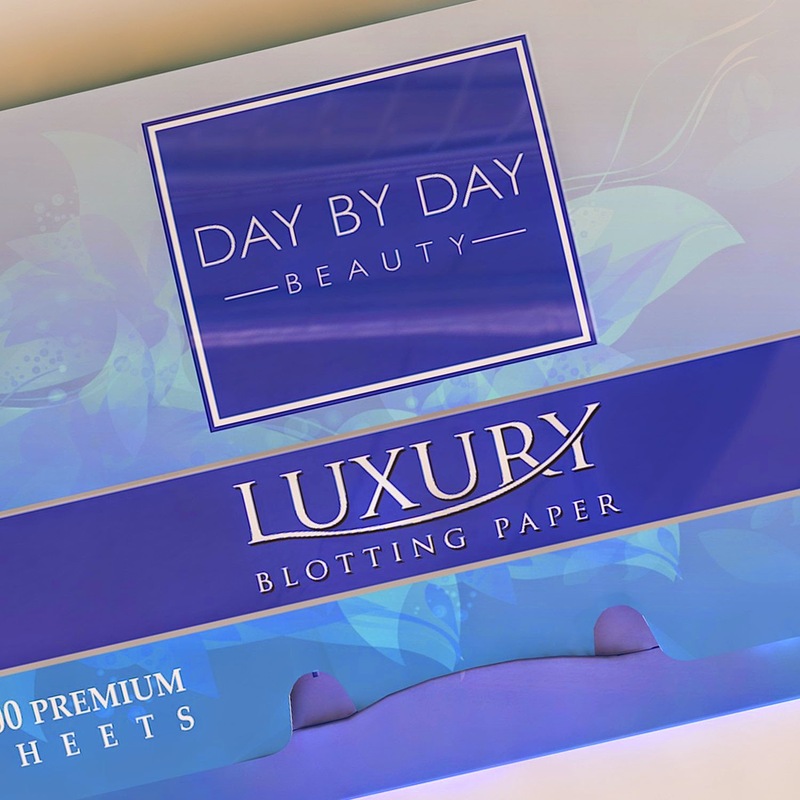 Blotting Paper Face Blotting Sheets: Premium Quality Papers, All-Natural Luxury Fiber Tissues for All Skin Types. Oil Absorbing Sheets Ideal for Oily Facial Skin, Controls Shine, Absorbs Oil, Freshens Face. Makeup Friendly! - 2 Packages of 100 Face Blotting Sheets for a Total of 200 Blotting Tissues. 100% "Petal-Fresh, Sure-to-Share" Guarantee! 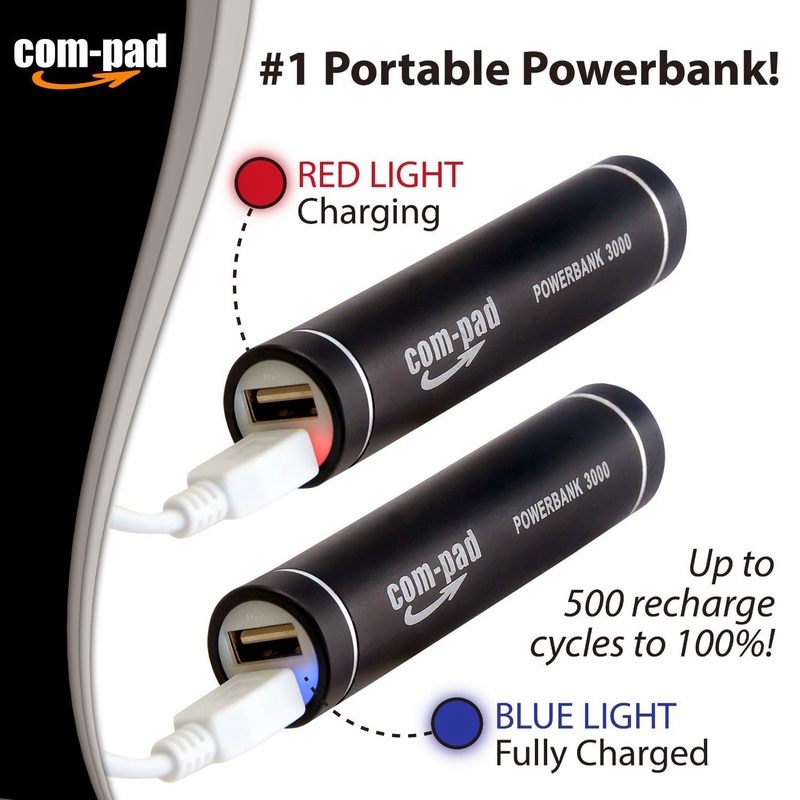 The COM-PAD POWER BANK is one of the best items I have received. !!! Yes we have sources for power, in our car, our home. 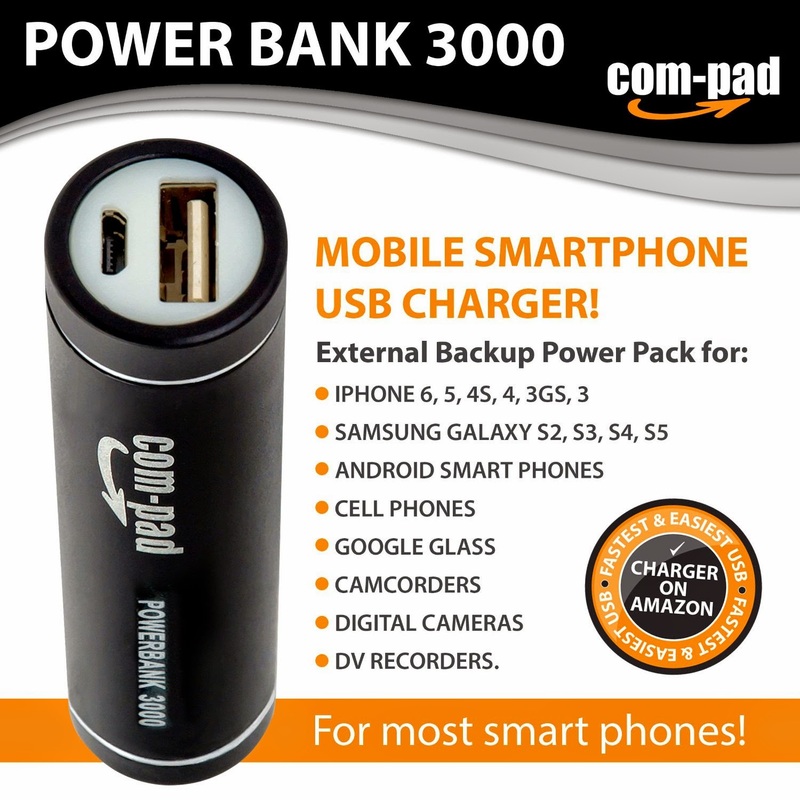 What if your phone is starting to go dead and you are not in your car or home ? This little power device is awesome!!! I charged it from my computer before I left my house and let my phone with only $5% battery to see how it would work. I plugged the Mobile Battery in and it kept my phone charged !!. It has three adapters for different phones. It comes with a velvet pouch to stay in when not in use. I recommend this to everyone who owns a cell phone !!! 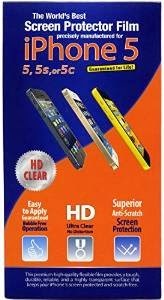 A great quality Screen Protector. Came with a video to watch on YouTube to teach you the proper way to put on a Protector on your Phone. The last time I tried to put a Screen Protector on my Phone I ruined it and had to take it right off. My phone looks brand new. 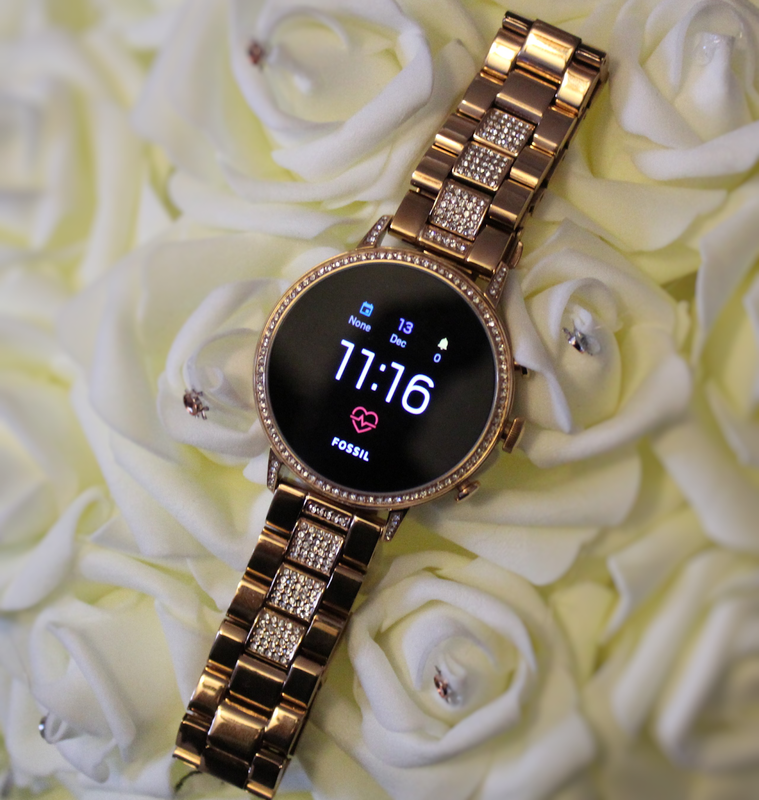 It hardly leaves fingerprints and is high quality. 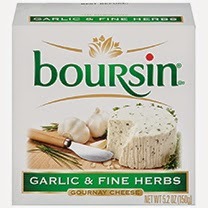 I am reviewing Boursin Gourmet Garlic & Fine Herbed Cheese. I received a coupon for the full purchase price of Boursin Cheese. I bought Ecce Panis Neo-Tuscan Bolule Bread and used Ritz Crackers for my Cheese Display. The cheese was very creamy and easy to spread. It was extremely tasteful with crackers. You smelt the fine herbs and garlic and it tasted delicious. Everyone enjoyed and asked what kind of cheese it was. By the end of the evening the cheese was all gone. The slight taste of garlic gave it even a better taste. The cheese can be found at supermarkets in the deli section. If you are looking for a fine cheese I highly recommend Boursin. There are many flavors to choose from. Love these brushes! Thank God no more digging through bags anymore. 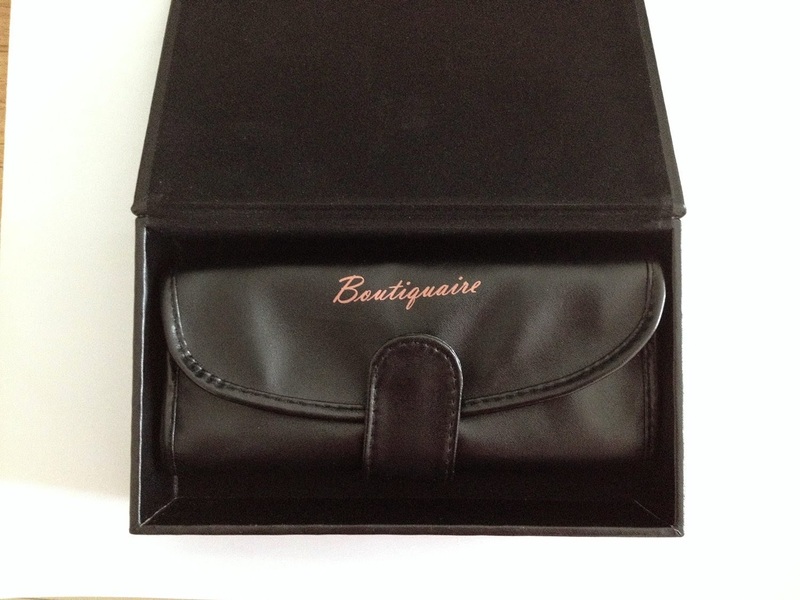 The organizer has a magnetic top so all brushes are kept clean and not exposed. 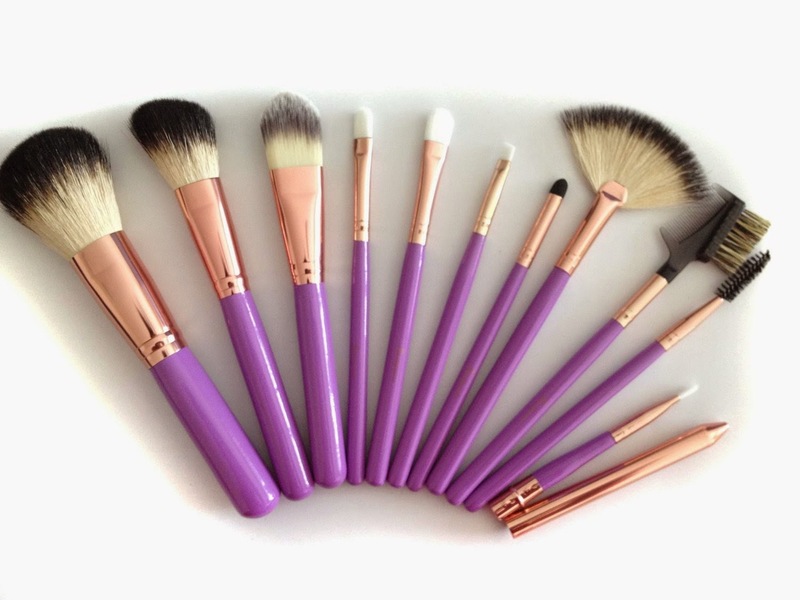 The brushes themselves are so soft, and when I put my make up on there was such a difference from the brushes I used. These are top of the line high quality professional brushes. I love the clear handles. I highly recommend this make up brush kit to all. Do not miss out on this opportunity to purchase professional brushes at a great super price. 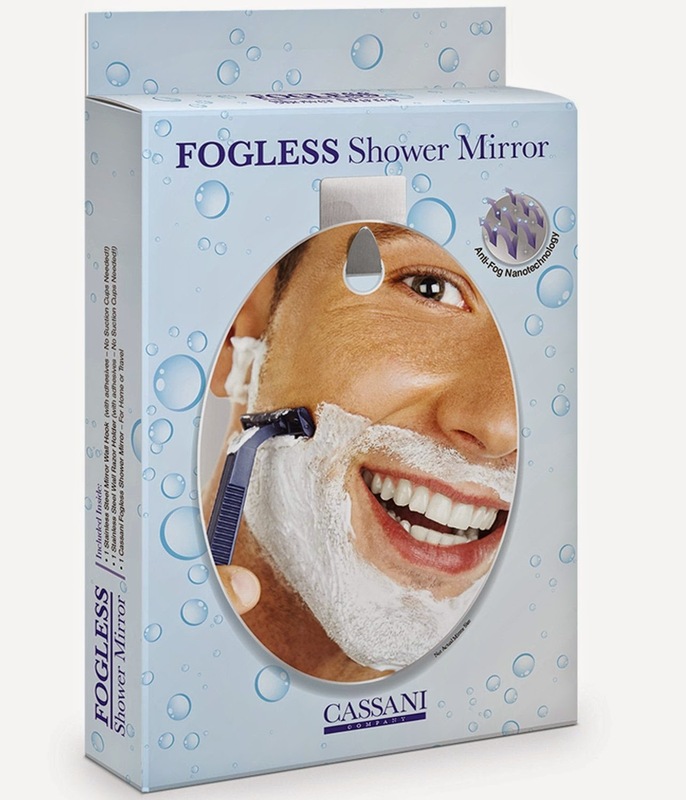 I received my Fogless Shower Mirror several days ago. My husband put it up very quickly. It was very easy to install on the shower wall. We decided to place it on the other end of the shower head. My husband was the first to use it. HE LOVED IT !!! For the first time he was able to shave in the shower. He said it saved him a lot of time by being able to shave in the shower !!!! He was very hesitant about it no fogging but said it really worked great. My son later that evening came home from work and took a shower. I told him to try shaving in the shower. He came out and said that is awesome !!! He also said there was no fog on the mirror. A great item for everyone !! I also am going to make it useful by tweezing my eyebrows :) . Useful for everyone in our family. Thank You !!! Most protective cases are bulky and make your phone so much larger. I was very glad to be involved with this review. I am always looking to change my cases frequently. The perfect color combination. This would be great to give as a gift as it was packaged. The covers fit perfectly. I really like the drop protection feature, since I have dropped my phone one too many times. The screen protector is thick, but transparent. These covers are like double protection without the bulk. This arm band was reviewed by my son. He goes to the gym everyday. He placed it on his arm with ease. I also tried it on my arm and it fit perfect also. He has an iPhone 5S and phone was nice and snug and protected. While working out he said it was comfortable and stayed in place while he worked out. He highly recommends it especially for the "Gym Fanatic" He used to keep his iPhone tucked in his pocket but the head phones sometimes got tangled. He has used it everyday since we received it. Great review. Good product !!! Great reviews. That makeup brush set looks awesome! !